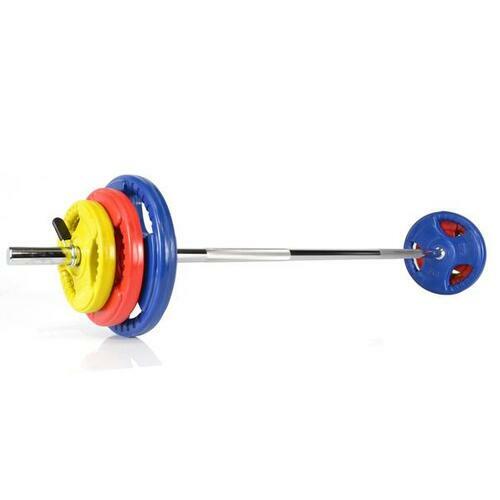 This 23.5kg morgan aerobic pump set is designed to be used in a commercial environment, using a solid steel bar and solid rubber plates, there is no risk of the plates cracking or bar snapping as cheaper hollower and plastic plates do. 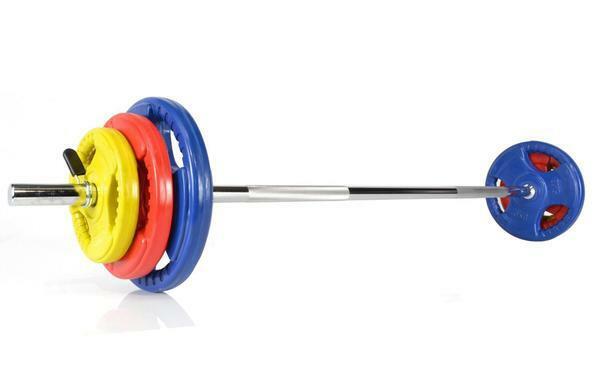 Designed to have 2 full sets of weights applied to our aerobic bars, this allows you to have your clients working hard. Solid rubber Tri-grip plates allow for multiple uses, allowing the plates not only to be used on the pump bar but also to be used as free weights, solid rubber plates ensures no cracking when being dropped, compared to cheaper plastic plates that will crack after some use. I can highly recommend this set of bars and plates! They are perfect for my business, Core Body Fitness Training in Palmerston, NT! Very portable also, as I train out doors. Quick and easy set up. Best price around! Great quality! Thank you Morgan Sports!